Genealogiya rodov, porodnennykh s Verenich-Stakhovskimi: rod Sholomitskykh [Genealogy of the families related with the Verenich-Stakhovskies: the Sholomitskies family]. Retrieved from http://forum. Khan-Magomedov, S. O. (2010). Ivan Zholtovsky. Moscow: S. E. Gordeev. Oparin, D. (2011, December 29). Osobnyak kuptsov Tarasovykh [The Tarasov merchants’ estate]. Bolshoi gorod. BAGINA, Elena. Three Lives of Ivan Vladislavovich Zholtovsky. 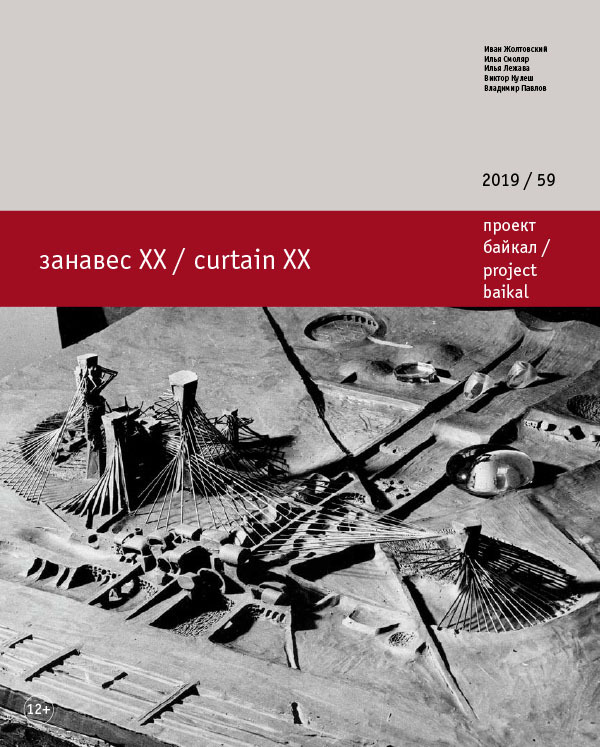 project baikal, Russian Federation, n. 59, p. 90-98, mar. 2019. ISSN 2309-3072. Available at: <http://www.projectbaikal.com/index.php/pb/article/view/1437>. Date accessed: 22 apr. 2019.